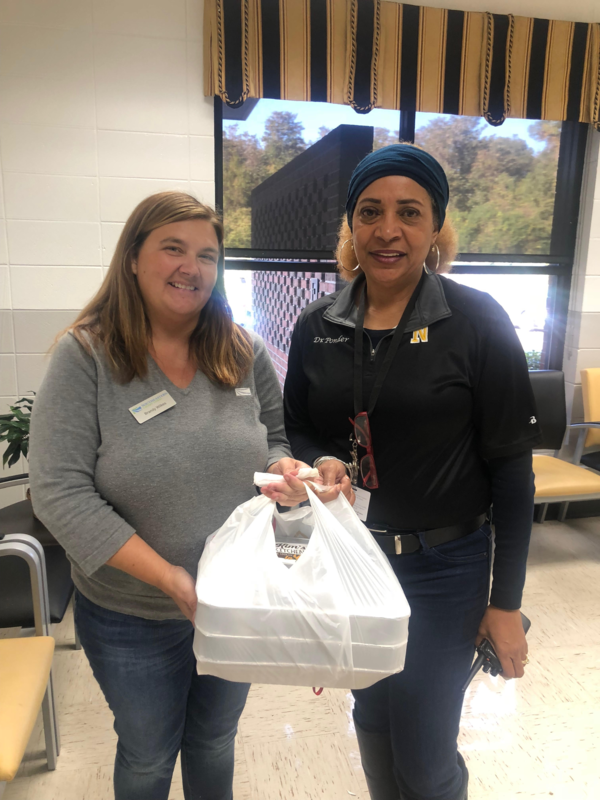 Southeastern Credit Union (SECU) provided Thanksgiving meals for two families in need at Newbern Middle for the sixth consecutive year. SECU is a Community Partner in Education (CPIE) with Newbern Middle. Community Partners like this help our schools and businesses develop partnerships to support our faculty and students. The partners commit to specific activities intended to benefit students, improve student achievement and accomplish school improvement goals. Newbern Middle School is very thankful and grateful for the continued support of Southeastern Credit Union. Pictured is Ms. Brandy Wilkes, SECU Executive Assistance, and Dr. Ponder, principal of Newbern Middle School.